Brown University student, Winnie McCabe and Babson College student, Marc Baghadjian, both 19, are one of this year’s competitors in the i.Invest National Youth Business Competition. Their startup, Skippit, is a dating platform that uses video and voice, and a slew of other features, to build intimate connections. Skippit is an iOS voice/video calling speed-dating platform for users ages 19-28 looking for an interactive experience that addresses the many shortfalls plaguing the incumbents in the online dating sector. Once two users match on Skippit, they have the option to spontaneously call or schedule a five-minute voice or video call with each other. If the call is successful, Skippit will suggest fun activities for their date based on their shared interests, then offer them insider deals on these activities for the date. What inspired the creation of Skippit? Marc and I both have had unsuccessful experiences using dating apps and are looking to solve a problem we have had firsthand. We were tired of the apps in the market and found that applications were built around prolonging the match process. We decided to reinvent the business model and build a dating application that condensed the match process. At first glance, one might not understand why the incumbents prolong the matching process but after evaluating their business models – which are contingent on users buying more swipes and using their dating applications for a long period of time – Marc and I decided to monetize in-person date interactions differently. We knew we had something special when we received positive feedback from polling users and individuals on our hypotheses. How will Skippit impact the world? Skippit facilitates introductions with individuals who would have never previously met. It assists in the match and meeting process, funneling people to do community gathering experiences through our integrated service providers. Skippit will enrich the communities on and between college campuses by offering individuals a way to streamline the first date process. What are the next steps for Skippit? Currently, we are looking to raise $150,000. We will use the funds to cover marketing costs, host the API’s to build the platform, contract developers and cover legal fees. Skippit’s target market is concentrated urban areas with large universities and business. We plan to start on the East Coast in the Boston area and reach an audience around the following schools: Harvard, MIT, Babson College, Wellesley College, Northeastern, Boston University, and Boston College. To learn more about Skippit visit, www.skippitapp.com or follow them on social media: Twitter: www.twitter.com/skippit_app; Instagram: www.instagram.com/skippitapp/or Facebook: www.facebook.com/skippitapp. To mentor or provide support, email info@i-investcompetition.com. Fifteen-year-old Gabriella Howard, her sister Alexandrea, 13, and younger brother, Sam of Canal Winchester, OH are one of this year’s competitors in the i.Invest National Youth Business Competition. Their charitable organization, Pumpkins Helping People (PHP), is a registered 501(c)(3) nonprofit organization working to fight hunger through the sale and distribution of pumpkins. Tell us about your non-profit. Pumpkins Helping People offers a retail-based fundraising initiative – selling pumpkins. PHP partners with community food pantries to organize and promote an annual fall pumpkin drive in the pantry’s local community. By buying a pumpkin through PHP’s website, customers are supporting the local food pantry and farmers, from which the pumpkins are sourced from. PHP works hand-in-hand with the pantry to promote the pumpkin drive throughout the community. This promotion directs customers to our website through the use of social media and email marketing. We hope to use the local school system, sports associations, youth organizations, and churches to spread the word. What inspired the creation of Pumpkins Helping People? Our inspiration for creating PHP is to help fight hunger. We believe our non-profit is an innovative funding mechanism for food pantries and it has the potential to become highly successful due to our commitment to the customer, the food pantry, and the community. How will Pumpkins Helping People impact the world? Over 48 million Americans suffer from hunger, with over 32,000 American food pantries relying heavily on donations to help fight this hunger. The way our program is structured, all profits generated will go directly to help fund local food pantries’ operations and to help fight hunger. In 2017, our proof of concept enabled us to donate $669 to the Canal Winchester Food Pantry to help feed the local community. What are the next steps for Pumpkins Helping People? PHP is a scalable concept. Within three to five years, we anticipate extending PHP to other communities similar in size to Canal Winchesters’ (12,993 households) in Central Ohio and then throughout the state. We want PHP to become a national platform for consumers to purchase pumpkins to help fight hunger at the local level. We recently designed and released a logo and are developing our online store. Once completed, we will begin promoting our website to the Canal Winchester community. In Fall 2018, we plan to strengthen our already established relationship with the Canal Winchester Food Pantry. Within the next two years, we will expand to three nearby similar-sized communities. To stay abreast of Pumpkins Helping People’s progress in the i.Invest Competition, sign up for our newsletter at www.i-investcompetition.com. To mentor or provide support, email info@i-investcompetition.com. Running a small business is tough. According to government statistics, during the first five years, 50% of small businesses fail. So, how can you increase your chances of success? Small businesses that utilize a Professional Employer Organization (PEO) are 50 percent less likely to go out of business. They also grow seven to nine percent faster than those who do not use a PEO, according to the National Association of Professional Employer Organizations (NAPEO). When you partner with a PEO, you can substantially reduce the overhead associated with human resources, payroll administration, and benefits. What this means to your business is a higher rate of growth and a better chance at success. The best way to grow your business is to allow more time focusing on strategy, cultivating customer leads and nurturing your business relationships. When you use a PEO, instead of contributing in-house resources on HR administrative tasks, you can invest that time in essential tasks inherent to your HR strategy. The employee turnover rate for PEO clients is 10 to 14 percentage points lower per year than that of comparable companies. Partnering with a PEO allows you to take better care of your employees, giving them more reasons to stay loyal to your company. What can an effective PEO do for your business? HR and Personnel Administration: Instead of your business having to fund an entire in-house HR department, PEOs can take over payroll administration, manage your workers’ compensation, and help keep your business up-to-date and compliant with the latest state and federal laws. Payroll & Tax Administration: Imagine not having to devote hours each day to payroll administration and dealing with employee benefits. A good PEO can handle the calculation, preparation and distribution of payroll checks; reporting, withholding and remitting payment of payroll taxes; employee deductions, including garnishments; and preparation of payroll reports. Employee Benefits Administration: Adequate employee benefits are one of the keys to retaining the best employees. PEOs can handle the administration, reconciliation and payment of employee health, dental and vision plans, as well as many other employee benefits such as 401(k), IRA, or other retirement plans. Risk Management and Workplace Safety: Employee safety is a key priority for a growing company. A good PEO will provide professional, certified safety managers that will come on-site to inspect your safety environment and make recommendations on how to improve it. When it comes to growing your business, the best thing you can do is hire a PEO. At Delta Administrative Services (DAS), we understand the time and monetary burdens of everyday business administration. By partnering with our team of experts, you can focus your time and resources on the growth of your business, while we do the rest. To learn more, call DAS today at 504-274-3400 or visit our website, www.deltapeo.com. 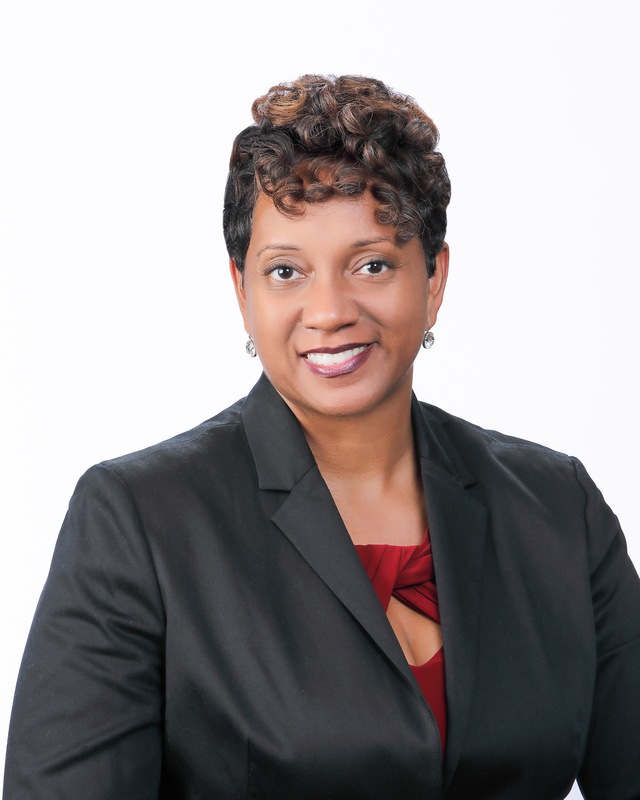 Michelle Jackson, CEO of New Orleans-based PR Solutions LLC, discusses the Big Easy’s economic drivers, including workforce development and the emerging tech start-up community, in the September issue of Biz New Orleans Magazine. Click to read her article, The Sweet Spot. Jackson is the owner of PR Solutions LLC of Louisiana, a strategic marketing and corporate event planning consulting firm, Founder of the i.Invest National Youth Entrepreneur Business Competition and Executive Director of LifeSkills Foundation, a 501 c3 organization dedicated to advocating for youth entrepreneurship. Before moving to New Orleans, Jackson worked for six years for the Maryland Department of Business and Economic Development (DBED) where she held the positions of Director of Federal Facilities, Director of Boards and Commissions and Director of the Office of Strategic Industries and Innovations, the agency’s first department dedicated to working with start-up companies in high-tech industries. Jackson led the policy development effort to create the InvestMaryland program, a first-of-its-kind legislative initiative that raised $84 million for seed and early-stage ventures and the InvestMaryland Challenge, Maryland’s first international business competition for advanced technology startup companies. Jackson is a military wife and published author. She has a Bachelor’s degree in Communications from The University of Alabama and Masters of Public Administration from Central Michigan University. For the sixth year, the CyberMaryland Summit continues to offer a unique cyber security information sharing venue. Designed to bring together cyber technologists, job-seekers, educators, government and industry leaders, the two-day event was created to encourage cyber professionals to share their skills and expertise, network with other professionals from the region and beyond, and seek collaborative ways to address the most critical challenges facing the nation’s network security infrastructure. Scheduled for October 20 and 21 at the Hilton Baltimore Hotel in Baltimore’s Inner Harbor, CyberMaryland, a cyber conference, job fair, networking event and hall of fame dinner, will continue its mission to inform and educate hundreds of business, government and academic leaders. Each year the conference attracts a host of cyber-savvy professionals. This year’s event is designed to inspire collaboration among network security professionals from across the US and abroad. Cyber-attacks cost businesses as much as $400 billion a year. CyberMaryland brings together cyber leaders who are focused on addressing the most pressing issues facing network security and the protection of national and global government and industry infrastructures. More than 209,000 cyber security jobs in the U.S. are unfilled, and job postings are up 74% over the past five years. CyberMaryland does its part to expose the next generation of cyber leaders to job seekers at companies like Booz Allen Hamilton, Deloitte, Delta Risk, DISA, General Dynamics and many others during the Cyber Job Fair scheduled for October 20 from 11 am – 3 pm at the Hilton Baltimore. Maryland is the epicenter of cyber security. Within a 50-mile radius of the host venue is federal agencies, academic institutions and business organizations that are mission critical to network security. CyberMaryland is held in the region’s cyber innovation hub – the “Mecca” of network security expertise. The tools and skills required to combat cyber threats continue to evolve. CyberMaryland offers several sessions designed to showcase new cyber technologies. For the second year, the conference will host the Cyber Defense Toolbox, a session designed to highlight cyber tools no organization should be without. The panel will include: OptioLabs, Inc. (Baltimore, MD), SparkCognition, Inc. (Austin, TX), Flashpoint (New York, NY), Portnox (US & Israel) and root9B (Colorado Springs, CO). Furthermore, attendees can learn about Watson, IBM’s new technology platform that uses natural language processing and machine learning to reveal insights from large amounts of unstructured data. Speakers are set to tackle cyber topics critical to the detection, protection, derailment and recovery from cyber-crimes. CyberMaryland is composed of seven forums – Cyber Risk, Cyber Education, Cyber Threat Intelligence, Cyber Innovation, Insider Threats, Government Cyber Opportunities and Cyber Workforce – that are essential to educating the public about cyber security. Every organization is at-risk, no matter the size. During the Cyber Risk Forum, attendees will learn about risk and vulnerabilities that threaten networks from all size organizations. No company or government agency is immune from cyber-crime. Information sharing is key. The two-day conference is a platform for information sharing among key thought-leaders. This years’ roster of speakers include: Admiral Michael S. Rogers, US Navy, Commander, US Cyber Command, Director, National Security Agency (NSA) and Chief, Central Security Service (CSS); The Honorable Michael Chertoff, former US Secretary of Homeland Security and Executive Chairman and Co-founder, The Chertoff Group; John C. Inglis, Venture Partner, Paladin Capital Group, former Deputy Director, NSA and visiting professor in cyber security at the Center for Cyber Security Studies, US Naval Academy; Gen. Alan R. Lynn, USA Director, Defense Information Systems Agency (DISA) and Commander, Joint Force Headquarters – Department of Defense Information Network (DoDIN); Graham Holmes, Senior Director, Advanced Security Initiatives Group, Cisco Systems; and Dante Disparte, Founder and CEO, Risk Cooperative. In addition, cyber leaders from CrowdStrike, T. Rowe Price, Forcepoint, Sonatype, KEYW Corporation, Lockheed Martin and Cylance will present during the conference. To see the complete list of speakers, visit the website. Network, network, network. The night before the conference starts, hundreds of cyber leaders will meet and mingle at the CyberTini Networking Event hosted by bwtech@UMBC. Scheduled to take place on Wednesday, October 19 from 5 p.m. – 7:30 p.m. at the Columbus Center (Pier Five) in downtown Baltimore’s Inner Harbor, attendees can connect with conference speakers and key cyber professionals. Respect the Past, Protect the Future. The National Cyber Security Hall of Fame awards banquet will be held October 20 from 6 p.m. – 10 p.m. at the Hilton Baltimore. Attendees can witness the induction of seven cyber pioneers into the Hall of Fame. October is National Cyber Security Awareness Month, and there is no better place to learn about cyber security than CyberMaryland 2016. Registration is available. Government employees attend free. For more information contact Michelle D. Jackson, CyberMaryland Agenda Architect and Owner/CEO of PR Solutions LLC Strategic Marketing & Corporate Event Planning, www.prsolutions123.com, 678-548-2461, mjackson@cybermarylandconference.com. Andre Rhone, 13, from West Mifflin Middle School in West Mifflin, PA, is one of this year’s competitors in the i.Invest Competition. Andre has always thought of himself as a creative person, and with his new business, Andre’s Plants, he finally gets to put these skills to good use. Andre created a decorative pot business so people in his community can display their potted plants or flowers in a beautiful setting. He uses items from around the house, such as ribbon and candy, to create unique, eye-catching designs that are so appealing, you just might not pay attention to the blooming flowers in the pot! After selling these decorative pots at community events, Andre realized that the demand for his product was high, and hopes to grow Andre’s Plants in the future. What inspired the creation of Andre’s Plants? After seeing so many plain pots in his home and around his community, Andre became frustrated. He looked at these pots as a canvas to design beautiful things with unique objects. Andre decided that he would be the one to use his creativity to transform the potting industry, one plant at a time! With his mom’s financial support, he began to purchase pots and decorate them with household items and candy pieces, and Andre’s Plants was born. What challenges will Andre’s Plants face? Each design that Andre creates is unique, which places a lot of pressure on him to come up with different ideas for items to use and how to place them. Because potted plants are a somewhat seasonal item, Andre’s pots may see fluctuations in sales, especially during the fall and winter months. How will Andre’s Plants impact the world? Andre’s mission is simple: to make the world a more beautiful place! Flowers and plants are designed to spruce up gardens and homes, but with decorative pots, they’ll be even more beautiful. What are the next steps for Andre’s Plants? Andre is currently not seeking investors for his business; however, he does hope to expand his business’s presence in the local community and on a larger scale. Eventually, Andre would like to open an Etsy store to sell his pots to customers around the world. Selling on Etsy would allow him to maintain low operating costs while reaching a huge audience. To stay abreast of Andre’s Plants’ progress in the i.Invest competition, visit www.i-investcompetition.com and register for the i.Invest newsletter. Also, to provide support as a mentor or investor, please email info@i-investcompetition.com. Marc Baghadjian, 17, from Brunswick School in Greenwich, CT, is one of this year’s competitors in the i.Invest Competition. Marc took his passion for the airsoft experience and turned it into a viable business, RapidFire. Traditional airsoft guns have a capacity of around 30 bullets, which can be shot out in approximately 15 seconds. Every time the user has to reload the magazine, he or she will waste about 30 seconds manually churning the equipment to properly load in the ammo. With RapidFire, this manual churning process is automated, and the capacity increases to around 400 bullets, making the airsoft experience completely hands-free for users. What inspired the creation of RapidFire? Being a huge fan of airsoft, Marc became frustrated with the time that it took to load bullets into the weapon. He began to realize that every reload was costing him between 20-30 seconds, only to run out of bullets within a minute or so because of the limited capacity of the magazine. He decided to design a magazine that not only would hold up to 400 bullets, but also reload on its own, allowing customers to focus on the game and not on their ammo. What challenges will RapidFire face? RapidFire would like to get into licensing deals with larger companies. To do so, they will need to convince seasoned brands why RapidFire is more beneficial than the existing product. This is a niche market; therefore, RapidFire will have to become a market leader in order to grow into a strong business. How will RapidFire impact the world? RapidFire will revolutionize the growing airsoft industry and make it easier for people to handle the equipment. Because RapidFire will load on its own, users will not need to focus on learning how to stop and reload when out of ammo. What are the next steps for RapidFire? RapidFire’s first goal is to complete the production of a marketable product at the Thayer School of Engineering. Marc expects this to take around 3-6 weeks to complete. Once this phase is done, Marc will move on to contacting large airsoft manufacturers to discuss potential licensing deals. Down the road, Marc hopes that one day this technology will be universally used for every airsoft magazine. To stay abreast of RapidFire’s progress in the i.Invest competition, visit www.i-investcompetition.com and register for the i.Invest newsletter. Also, to provide support as a mentor or investor, please email info@i-investcompetition.com.